FREE aims to address a triple threat to the dignity, livelihood and ecosystem of a community in South Africa through providing the three most essential basic needs: water, energy and healthful food. This idea was born from personal experience and observation of their rural village, where people have to walk kilometres to collect buckets of water; where kids can’t study at night due to a lack of light; and where, although they have plentiful land, most people live in a food desert. 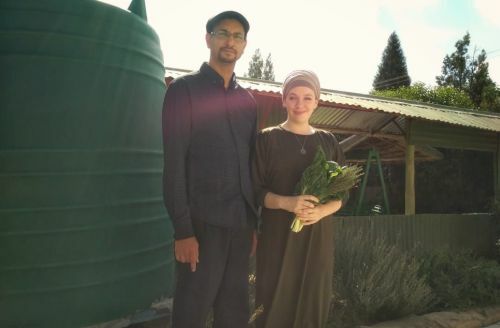 Every home should have a rainwater tank, a solar panel and a permaculture garden. FREE plans to foster a culture of self-sufficiency by setting up a local company of young apprentices who will be responsible for the installation and maintenance of these systems. Profit can be reinvested to repeat the cycle. “In 5 years time, I imagine looking over my wall to the hillside – currently degraded by erosion and litter – turned into rows of abundant, green, fresh, healthy vegetables, tended to by smiling women singing songs of gratitude, while kids play in the street, made safer, healthier and smarter by being able to study at night, drink clean water and eat good food.” Co-founder of FREE.